Perched high on a mountain top overlooking the clear, blue waters of the Mediterranean Sea, lies the very picturesque Medieval village of Eze. 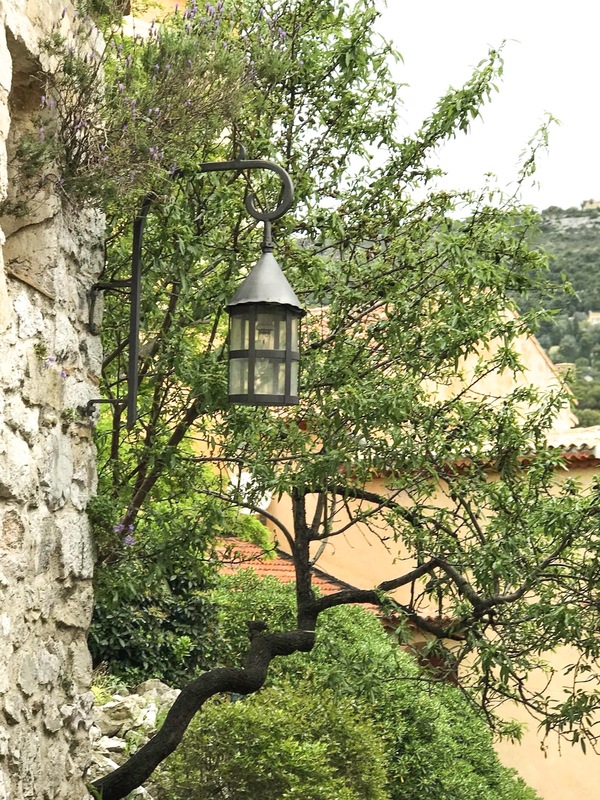 Located on the road between Nice and Monaco and easily reached by train or bus, Eze is famous for it’s quaint medieval buildings and it’s spectacular views of the Mediterranean. 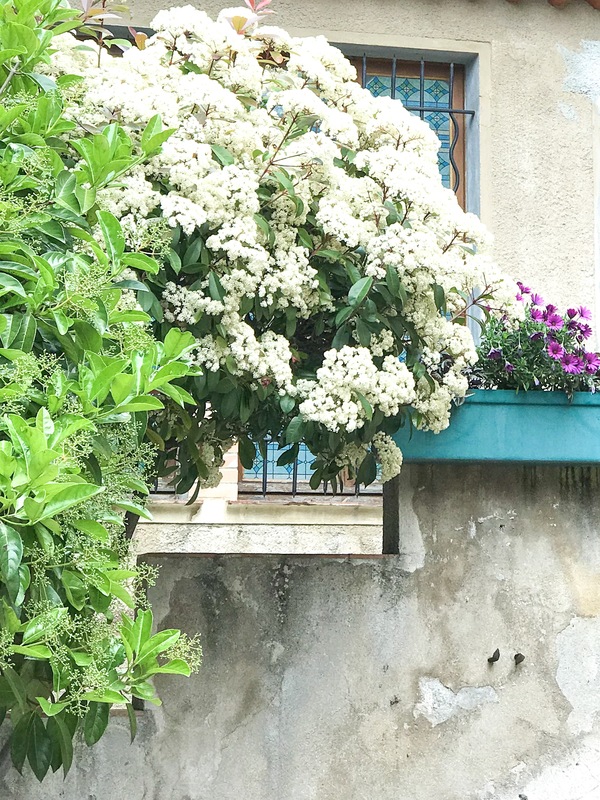 A visit to the lovely area of Provence and the Côte d’Azur has long been on my bucket list and sadly we only had one day in the area on our Royal Caribbean Cruise. I wanted to see so much of France, yet I didn’t want to be rushed from place to place. I yearned for time to relish in the sights, taste and smells of this spectacular place. 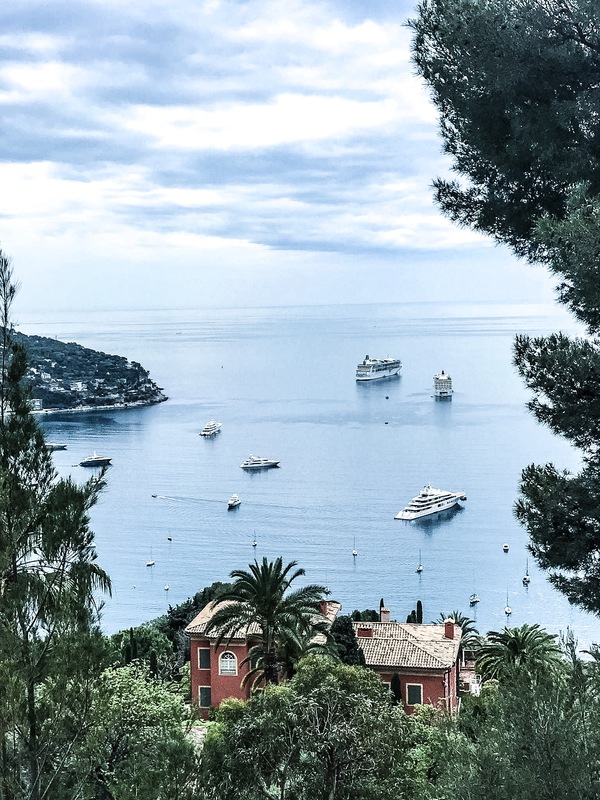 So…..after some discussion, RH and I decided to skip an excursion to Monaco to allow us more time to linger in Villefranche and Nice. You can read about our time in these two charming spots here. However, I couldn’t miss out on the visit to the medieval village of Eze, perched 1400 feet above the sea, and I am so glad that we went. The ride up the hillside to Eze was remarkable in itself! 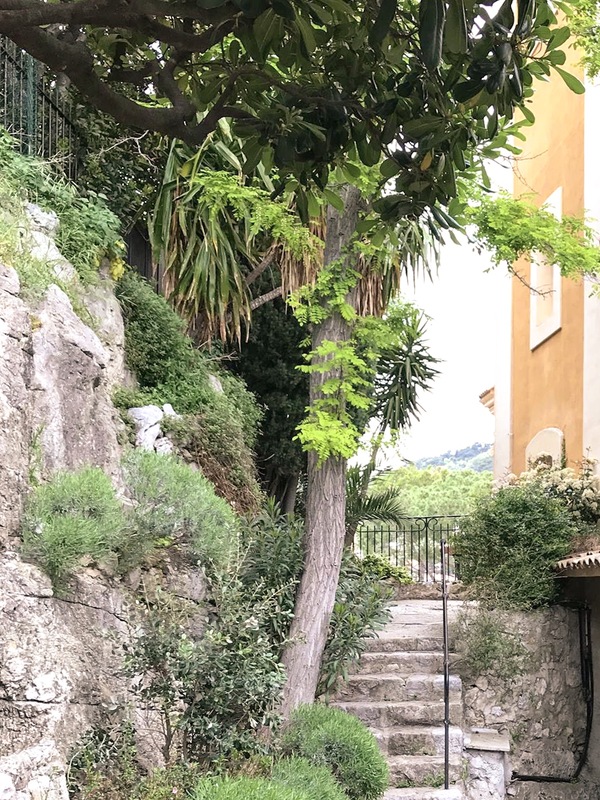 The winding road was filled with amazing views of the Bay of Villefranche and all the charming homes cascading down the hillside. Once we arrived in Eze, the entrance to the medieval village was just a brief walk from the bus stop. 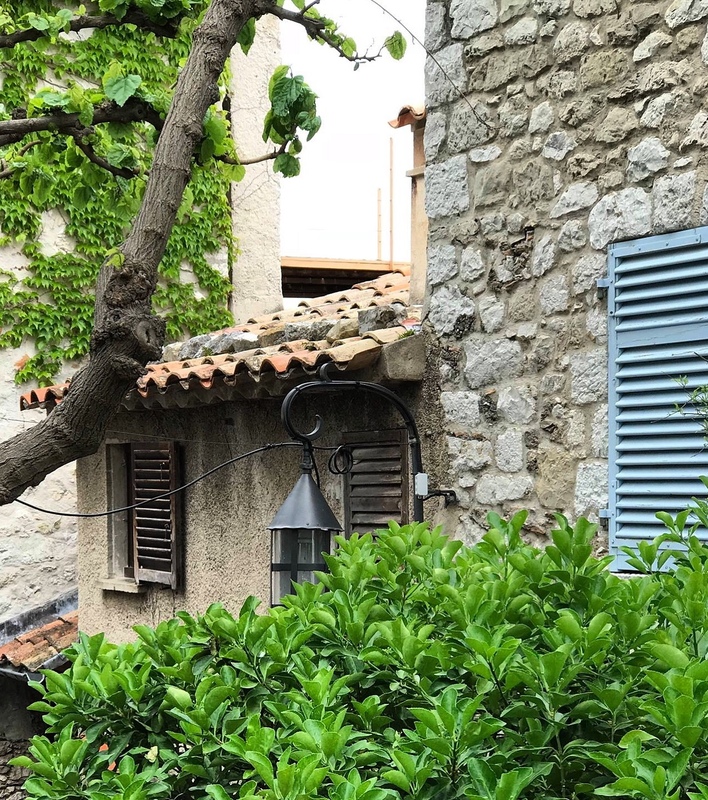 After entering the gates to the medieval village, we followed the narrow cobblestone roads up a steep and rocky path and were enchanted with the lovely stone homes that are now filled with charming boutiques, artisan shops and lovely flowers. 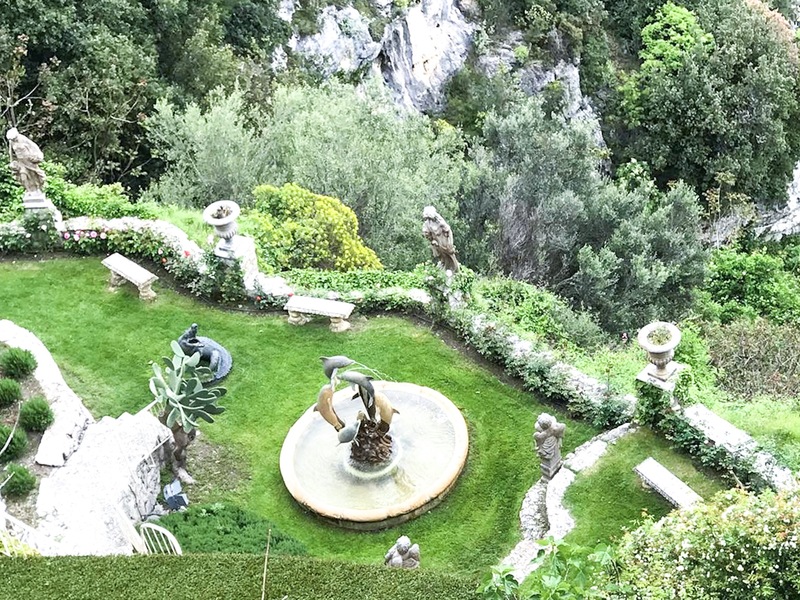 The road leading to the mountaintop brings you to the amazing Jardin Exotique d’Eze, a lovely botanical garden on a steep terrain with exquisite views of the coast. There is an entrance fee of 6 euros per person. I regret now that we did not pay this small fee to wander around and enjoy the views. 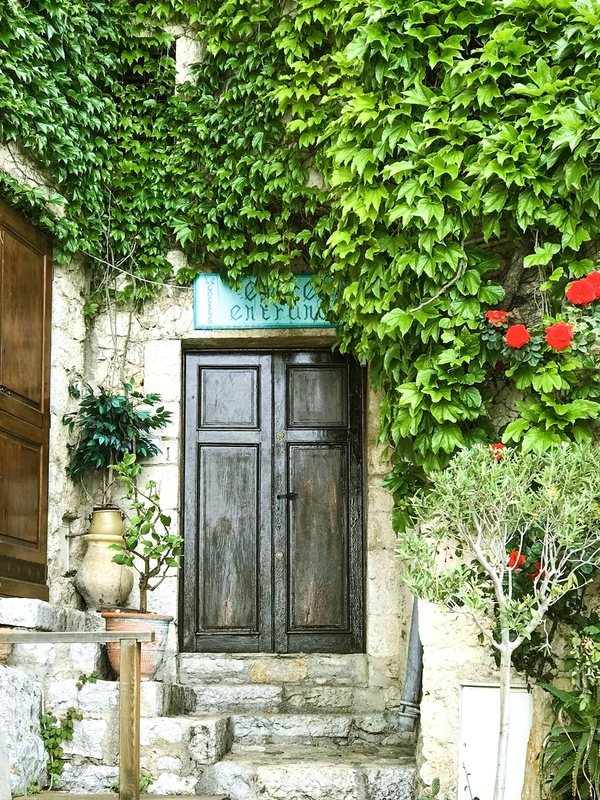 Eze is one of those places where you think if only the walls could talk what a rich history they could share. It is believed that Eze was first populated around 200o BC by Celto-Ligurian tribes, and it’s amazing history has been shaped by the Romans, Moors, and House of Savoy. The Medieval town we see today was built around the ruins of a 12th century castle and you can an influence of Egyptian and Middle Eastern architecture. 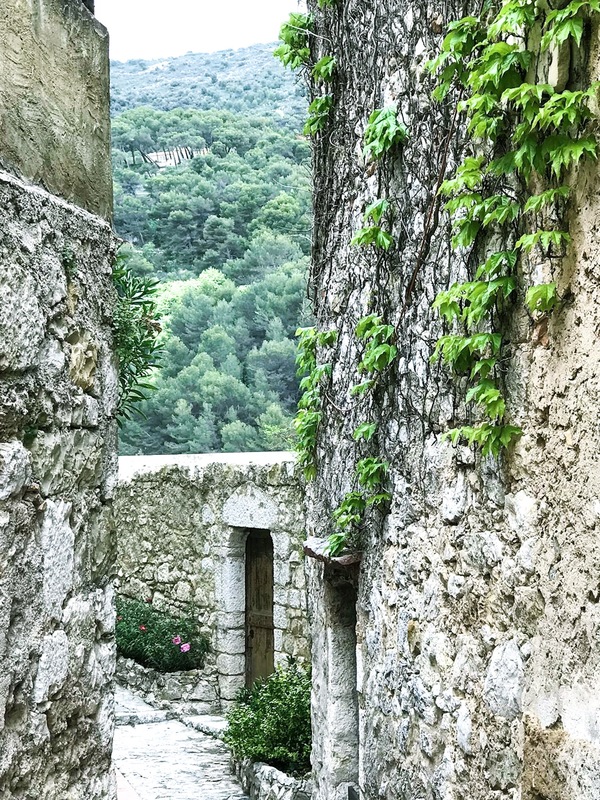 I believe I could have wandered the cobblestone roads around the medieval village for days taking in the ancient stone structures, the beautiful flowers and the incredible views! 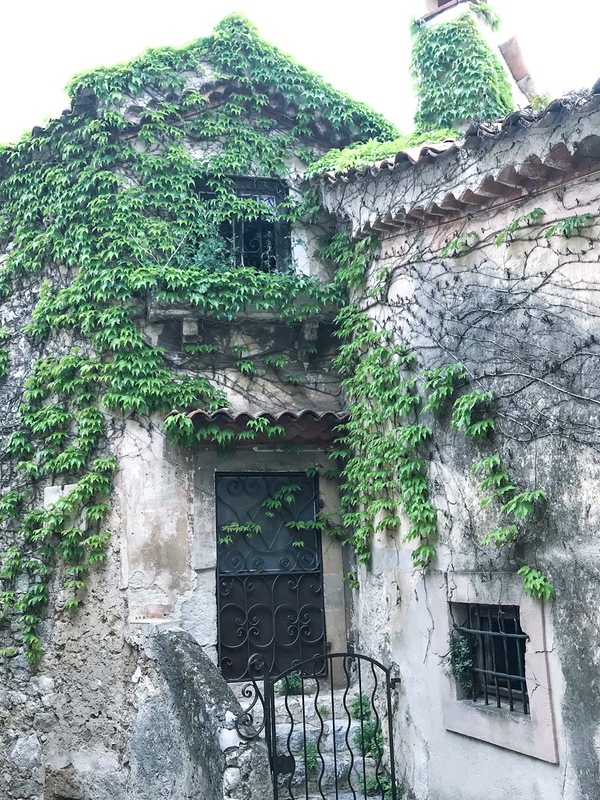 Eze can get quite crowded so I would recommend arriving early in the day and allowing yourself plenty of time to wander and enjoy this fascinating spot! I have to say, I truly enjoyed my brief time in Eze and sincerely hope I have the opportunity to return someday! Thanks for reading and until next time – Au revoir! The first blooms of spring are already fading, but the air is warm and the skies are blue. Springtime offers a time of rebirth as the earth rejoices with sunny skies, warmer days and bright flowers. These Louisiana Iris seem to grow likes weeds in our garden, but I do so love them! You know Spring has arrived when the garden is filled with these beauties! 💜I posted this a while ago, but I’ve been playing with editing and thought I would repost. The winter is past; the rains are over and gone. Flowers appear on the earth; the season of singing has come, the cooing of doves is heard in our land. Song of Solomon 2: 11-12 🍃🌷🍃 Wishing you a glorious Sunday. If you crave the feeling of peace and serenity, look into the sky for a beautiful sunset. Enjoying a beautiful evening and treasuring these mild temperatures! The sky is blue. The temperature is perfect. It’s hard to ask for a more beautiful day. Today, I will just be thankful for the beauty of this day.